News Apps Developer • NPR • Washington, D.C.
Tyler is currently developing an unhealthy obsession with publishing models on the web and interactive, immersive storytelling. He has worked with the Chicago Tribune News Applications Team and currently serves as the webmaster of North by Northwestern. 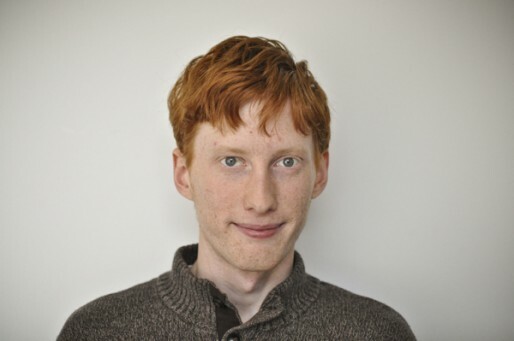 He also develops SoundCite with Northwestern University’s Knight Lab. This summer, Tyler will join the Content Team at Gannett Digital. Entering college with the purpose of becoming a musician and critic, Tyler wrote for Sputnik Music and PopMatters before interning at Pitchfork and The Onion’s A.V. Club. But after joining North by Northwestern and learning how to program, Tyler found his place hacking and never looked back. While still trying to grow his unicorn horn, he has taken a particular interest in how everyday journalists tell stories on the web and how everyday journalists can make better use of the web. From Quakertown, Pa., Tyler has also lived for two years in Montezuma, N.M., attending the United World College of the American West (UWC-USA), a high school of 200 students representing over 70 countries studying the International Baccalaureate. Some might talk about their high school experiences with disdain or nostalgic memories of social awkwardness, but for Tyler, life at UWC-USA was positively formative. From working on a homebrewed Django-based CMS to making audio easier to embed, all of Tyler’s major projects have worked toward making storytelling on the web better and easier. With Teleprompt, he hopes to take that drive to broadcast news. Teleprompt seeks to bridge the digital and television worlds for the end user. It provides a synchronized second-screen experience that augments the news packages of broadcast news. For example, a broadcast weather forecast shows citywide trends on the television, while the second screen uses location data to show hyperlocal radar maps and conditions. Or a traffic report highlights the major traffic jams and accidents on the television while providing an interactive map that allows the user to plot their own path and see what traffic looks like for them. Beyond personalizing broadcast news, the second screen can bring the news apps style of presentation that has taken traditional newspaper web products by storm to broadcast. An investigative package can tell the traditional broadcast narrative on the television, highlighting interviews and key points. Meanwhile, the second screen shows its true potential by allowing the user to explore the data further. The key to making Teleprompt work is developing its direct integration with the broadcast news workflow. Teleprompt would essentially work as a content management system with templated views, such as weather, traffic, and sports, that would require minimal work on the part of the producer. The views would also be completely customizable, allowing for the input of any other view meant to be served to the user: from a news application to simply a static informational screen. The content would be as modular as a typical news broadcast, and “publishing” would simply require ordering the modules in the correct order for the night’s broadcasts. Six-word memoir: Trying to make journalism indispensable again. Quick-an- dirty resume: Medill ’14. Formerly at Chicago Tribune News Apps Team, spending summer at Gannett Content. 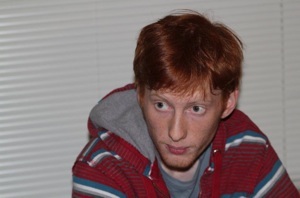 Webmaster for North by Northwestern, developer of SoundCite for Northwestern University Knight Lab. Favorite fictional character: I have been staring at this for hours. Toby Ziegler from “The West Wing,” maybe. Omar Little from “The Wire,” maybe. Matt Saracen from “Friday Night Lights,” maybe. I don’t know. Your project will deal with second screens. What is the overall concept of the second screen for those that may not know? A Pew Research Center poll conducted in 2012 stated that 52 percent of television viewers use their phones while watching television for one reason or another. For example, 22 percent of all viewers are using their phones to verify if something they heard on the television was true. You can read more about this report here. The point is this: The information people are consuming through television does not sate them, so they verify it or simply consume more by using a connected device. The second screen is whatever device they use to do that — a smartphone, a tablet, a laptop, or perhaps even an Internet browser built into their television. Thus, it follows that television channels and service providers can leverage the second screen to provide even more content to their viewers. What are your views on the current second-screen apps out there and how is your project different? Roughly, there are currently two models of second-screen apps. The first tries to give you an experience for every show a user watches, leveraging social networks and APIs like IMDB to provide additional content. But these social experiences are second-rate compared to the network a user has already set up on Facebook or Twitter. Social media users already follow who they want to and communicate with whom they want to. A second-screen app will never provide a social experience that compares to the larger social networks. The second model is show-specific. AMC has been a trailblazer in this area, providing experiences for their shows “The Walking Dead” and “Breaking Bad.” These experiences are able to enhance the user’s experience by providing very specific information they cannot necessarily get anywhere else. These have been fairly successful but not replicable on a large scale. My project, Teleprompt, adheres to that second model by providing a framework specifically for local television news broadcasts. But unlike other second-screen apps, it also will exist as an open framework so that any local news broadcast can adapt Teleprompt to their broadcast. While providing a format specifically adapted to the tropes of broadcast news, it does not assume a *particular* broadcast news program. It also steers away from the first model by not focusing on a social experience. Teleprompt will be primarily an informational experience. Finally, Teleprompt makes the bet that the second screen is more compelling in the context of news than it is in the context of entertainment. Currently, local broadcast news falls short in that it struggles to provide much detail in the context of its minute-long packages and anchor reads. Investigative programs like “60 Minutes” and “Dateline” are successful because they *can* provide that depth. Teleprompt bets that the second screen can bring the depth viewers seek in nationally-broadcast investigative programs to local broadcast news. You also have experience with responsive design. How is that shaping today’s news consumer’s experience? Responsive design is more than a fad; it is a design philosophy that forces you to think about all of your users. The Internet is not Google Chrome on a Macbook Pro. It is a smartphone, a feature phone, a tablet, an e-book reader, a television(! ), a pair of glasses. Tomorrow, it could be on your breakfast table. It is ubiquitous. And users expect content everywhere. News organizations have the unique position of informing The Public, which means they shouldn’t make any assumptions about their audience and what devices readers will be using to access their content. Responsive design is, in my mind, the only way forward with that mindset. A news organization needs all of its content available no matter who or what accesses the website. Serving mobile users by providing a native app is great, but only if you have a development team that is skilled enough and committed enough to keep all of your content unified with the web experience. Nothing is more frustrating than a disjointed, closed experience in a poorly designed “native” app. Almost every news organization would be better served with a responsive, first-class web experience than a smorgasbord of bad legacy websites and poorly designed native apps. For responsive design to fully inform the news consumer experience, more publications have to catch on. The inability of some publications to adapt to mobile intelligently has led to the success of startups like Evening Edition, which mixes a smart bit of curation with a beautiful design to make a great, simple product. More established publications should be taking note. Why did you choose to get involved with online media? I actually entered Northwestern as a dual-degree student in euphonium performance and journalism. I planned on being a music critic, composer or some strange combination of the two. 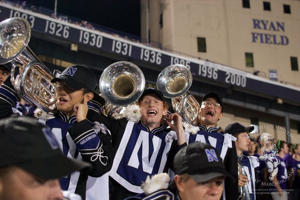 But really, I was doomed from the start, not only because euphonium performance is probably the most useless major in the history of anything, but also because I saw North by Northwestern’s 2010 Freshman Housing Guide (sadly broken due to server migrations and Flash sucking). Back when it worked and I was looking for a place to live for my freshman year, the guide entranced me. I decided that I wanted to learn how to make it, and the rest is history. I dropped my music major, stopped writing about music and spent my nights hacking through tutorials and making my own projects. That being said, I’ve always been a web nerd. I watched my father and my brother build computers and install some of the first home Internet available when I was very young, and I was always “fixing” computers for my elementary school teachers when they “wouldn’t work” (read: they didn’t know how to open a PowerPoint presentation) in the classroom. When I turned all of my attention to music and writing as a teenager, I wrote for websites like Sputnik Music and PopMatters as the “blogosphere” began to take form instead of contacting the local paper. When I learned how to DJ, I gravitated toward digital controllerism instead of analog vinyl. Digital media has always been an interest of mine, so as it became my sole focus as a journalist, everything finally came together. I discovered that I could make more impactful journalism and help more people make great journalism if I went all-in on learning how to program.